US Budget FY 2014: Did the US Govt Make USMLE Tougher for IMGs? Right at the outset, I shall admit that this is a topic that is a little beyond my “safety net” of knowledge and hence, I may be slightly off-target with some of the assertions. I am reaching out a bit with this topic, but I have tried to do adequate reading up on this matter. However, I have always studied the US Medical Education system as an interested bystander, and nothing more than that. So, there is a high likelihood that this analysis is off. If it is, please forgive me and show me the right way! 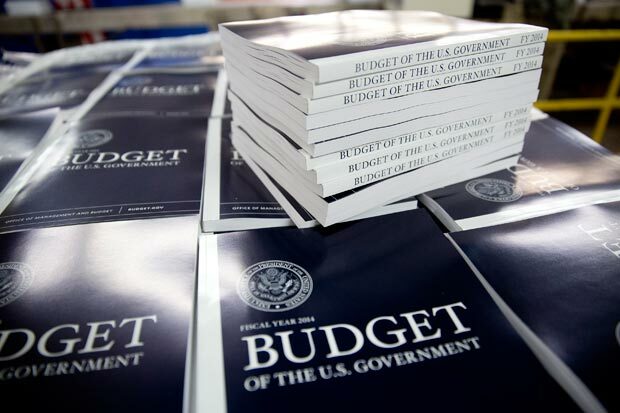 The Budget of the US Government for the fiscal year 2014 is out and it has some stark worries for the medical students and graduates out there, especially, the International Medical Graduates who may be eyeing a slot in the land of their dreams. I have become a bit of a nay sayer as far as IMG prospects in USMLE is considered after I wrote how the 2013 match was not as good as it seemed and the alleged 2015 watershed which shall make life tougher for IMGs aspiring for a USMLE entry and I am worried that this post is not going to redeem my reputation a bit. 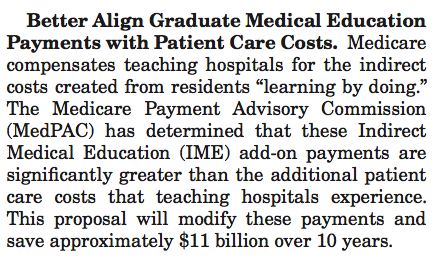 As I understand it, this basically means that the GME is losing 11 billion dollars over the next 10 years. It was first brought to my notice by bloggers over at Project Millenial, and the AACOM newsletter they discussed on their blog. Whilst Karan and Adrianna, the bloggers over at Project Millenial have discussed about the repercussions and have talked about the much debated issue of doctor-shortage versus doctor-maldistribution, my focus, as always, will be a little different. I shall try to focus on what this budget cut means for IMGs who are trudging their way towards the USMLE. First up, a little brief about what the whole issue of Medicare payment means. First lets see what GME means. Graduate Medical Education (GME) is the phase of training that people undergo once they have graduated from medical schools and then go through several years of hands-on, supervised training in a chosen specialty. Basically, it means residency! This training is imparted by teaching hospitals, which, in addition to their clinical duties also have the responsibility of training medical students and physicians to become future doctors. Now, it is evident that in order to train these students and serve the patients with the highest possible level of care, these teaching hospitals become a drain on the finances. Running academic and clinical programs are an expensive affair, after all. In order to help with this extra expenditure, Medicare includes an Indirect Medical Education (IME) payout for hospitals to cover for this extra expense. Now there is some formula, which takes into account the Resident-to-Bed ratio of the hospital in order to calculate the IME they can rake in. So, naturally, as a hospital gets more invested in resident training and GME, its IME proportionally increases. So, to sum up, hospitals that are involved in teaching programs receive some money from the Medicare as IME in order to cover up for the extra cost of running an educational institute. But that was the expense at the institutional level. IME helps to offset the institutional investment in training residents. What about the residents themselves? There is another head under Medicare, called the Direct Graduate Medical Education (DGME) payment which is responsible for the payment of stipends and benefits to the residents. In addition to this, the DGME also helps to pay for salaries and benefits of the faculty members who mentor these students and residents, and some other overhead expenses, the details of which are not necessary for the present discussion. In 2009, Medicare paid out $3 billion for DGME and $6.5 billion for IME. This worked out to about $100,000 per resident for that year. (1) That is one hefty amount of money! Given this scenario, and the rapidly fluctuating financial environment over the past several years, there has been a lot of pressure to streamline expenses. There have been a lot of clamour in the past decade or so, asking for a cut in the GME expenses under Medicare, (3) and in the middle of all this, we have the discussion of cutting $11 billion from this field in the days to come. What does the $11 billion cut mean for the IMG aspiring to take the USMLE? Well, it may mean several things, all depends on the analyst’s world view and how things actually unravel in the real world scenario. First, there has been some increase in money in the field of training professionals to provide primary care. However, this has been directed to the Physician Assistant program exclusively, and has left out the Phsycian Training part completely. The ACP felt a little miffed at this. But that is almost where the good news ends. b. Cutting out the low return fields like primary care (which includes specialties like primary care, general practice, general internal medicine, general paediatrics, preventive medicine, etc.) which may not be cost intensive to run, but end up being a money siphon as they are unlikely bring in more money. If the first option happens, which I find slightly unlikely, the IMGs will be displaced by the AMGs, who shall try a year of this-and-that before they shifted to a specialty of their choice. This would mean that more and more IMGs, who were interested in picking those straggling specialties are left behind. There is a school of thought that believes that curtailing of specialty residency slots will force more people into primary care, and that may not altogether be a bad thing. However, being a doctor is not just a profession, it a calling. So, forcing someone who has always wanted a career in Radiology into Primary Care will only spawn poorer, less motivated doctors who are at very high risk of burn out. This also seems to be a morally repugnant way of pushing more physicians into primary care. I have always been a strong believer in the power of positive reinforcement, and I think that such punitive pushing of residents into undesired career orbits is a dangerous slippery slope, the ill-effect of which plagues most of the Indian young doctors who have ranked outside the top 20% ranks in the schizophrenic entrance exams. If the latter one occurs, then the prime pickers for the IMGs contract, and they are affected directly. This assertion is based on the fact that most IMGs match into general internal medicine, and if those slots are lost, then the IMG stands to lose out right off the bat. But, there is a school that believes that this may be unlikely as the focus of the administration has been on the primary care specialties. It is an accepted fact that as the baby boomers who helped propel America into the position of being a global powerhouse today age, they are going to cause a significant strain on the medical healthcare system, which was intended to be cushioned by a thriving primary care system in place. So, eradication of the very same programs that would make this political dream come true seems counterproductive. There is, of course, a rosier (comparatively) third option. There is pay restructuring and some arrangements with private insurance providers and other spenders on medical education to help make good the loss of Medicare. However, seeing as how the other players, put together, now, contribute around a third of what Medicare pours into Medical Education, it would be very difficult to raise such massive amounts in such a short time. The problem would be more acute for peripheral programs serving the underserved areas or in small community programs which have lesser financial reserves to fall back on. But, what I think is that, in any case it is a lose-lose situation. No matter what happens, the IMGs are at the end of a raw deal. Even if there is a mitigating force (though I wonder who that can be) and there is no loss in program slots anywhere, it is unlikely that there would be generation of adequate funds in the immediate, foreseeable future, which could lead to expansion of programs in a significant manner. They might, at best, stay static at the present day levels without any more loss of slots. But, as I have stated in the 2015 watershed blog post earlier, more and more AMGs shall qualify and this would lead to a deluge of home trained Americans who would lay first claim to whatever seats are available. In this environment, thus, the International Medical Graduate is pushed into a corner of unique misfortune, where even the Government policy seems to be hampering their future prospects. If there is a moral to all this, then this is it: Hurry up and write your steps. Make a dash for it before the chink starts becoming narrower and narrower! 1. Wynn B, Guarino C, Morse L, Cho M. RAND Health Working Paper. Alternative Ways of Financing Graduate Medical Education. Available at: http://aspe.hhs.gov/health/reports/06/AltGradMedicalEdu/report.pdf. 2. Council on Graduate Medical Education. Nineteenth Report: Enhancing Flexibility in Graduate Medical Education. September 2007. Available at:http://www.hrsa.gov/advisorycommittees/bhpradvisory/cogme/Reports/nineteenthrpt.pdf. 3. Iglehart JK. The uncertain future of Medicare and graduate medical education. N Engl J Med. 2011;365(14):1340-1345. Tags: GME, Graduate medical education, IMG, International medical graduate, Medical Education, medical education system, Medicare, Residency, Step 1, United States, United States Medical Licensing Examination, USMLE, WPLongform. Bookmark the permalink.